Thank you for your purchase of a Mac-Lander trailer. We are excited to have you as a new member of our loyal and satisfied customer base. You’ll find there are many reasons Mac-Lander customers take such great pride and satisfaction in ownership of our quality products. Years of design and manufacturing experience have gone into each and every one of our units. And, thanks to stringent production standards and a strong dealer network we are able to meet and exceed our customers needs. Additionally, each trailer is backed by one of the strongest warranties in the industry. 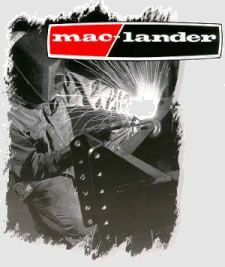 On an ongoing basis, Mac-Lander is always working and striving to implement innovative changes and improvements to its product line. Our customers expect the best — and we’ve dedicated to delivering it. Thank you again for your patronage. Click button below to get the latest version of Acrobat Reader. This operator’s manual provides instructions for safe, efficient, and trouble-free operation of your trailer. You, and anyone else who will be using or maintaining the trailer, are required to read and understand the hook-up, inspection, operational, maintenance, and trouble-shooting information contained in the actual owner’s manual, all of which can be found on our webpage. Owners and operators must keep the owner’s manual available for frequent reference. IMPORTANT: Please read all instructions carefully before you begin using your trailer. 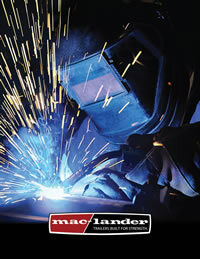 Contact your Mac-Lander dealer if you need assistance, information , or additional copies. Keep your manual with the trailer at all times. DANGER: Red decal on trailer An operating procedure, practice, etc., which if not correctly followed, WILL result in severe personal injury or loss of life. If you have misplaced your Mac-Lander Owner's Manual we have it available online.